Federal officials have long expected a nationwide fallout of protests from an eventual RCMP action against the Wet'suwet'en nation over the Coastal GasLink natural gas pipeline, internal documents show. Public Safety Canada's Government Operations Centre (GOC) prepared a risk assessment in 2015 for an expected RCMP action on a camp set up by the Unist'ot'en, a Wet'suwet'en house group, to block TransCanada's Coastal GasLink pipeline. The GOC is the 24-7 federal information nerve centre for national-scale emergency response. The risk assessment was obtained by Shiri Pasternak, research director for the Yellowhead Institute at Ryerson University, through the Access to Information Act. The risk assessment said a raid on the Unist'ot'en camp would likely trigger "a broader series of protests or blockades nationwide." The assessment said the "severity" of these events were "assessed as low" noting that they "are not highly functional due to a lack of the organization's ability to garner the support of large groups." The document concluded that the "risk to the national interest" of an RCMP action on the Unist'ot'en camp was "medium-low" and it was unlikely federal resources would be needed to help British Columbia deal with the situation — the RCMP is contracted by the province to provide law enforcement. 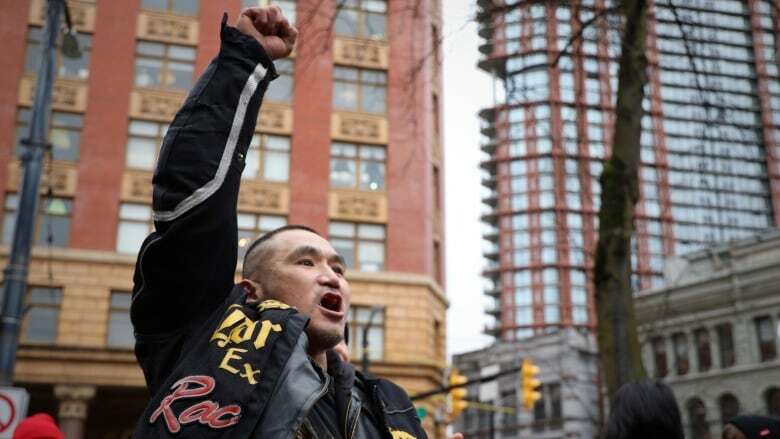 RCMP entered a camp set up by the Wet'suwet'en Gidimt'en clan Monday to enforce an interim injunction ordering people to stop preventing Coastal GasLink workers from accessing the area for pre-construction activities, resulting in 14 arrests. 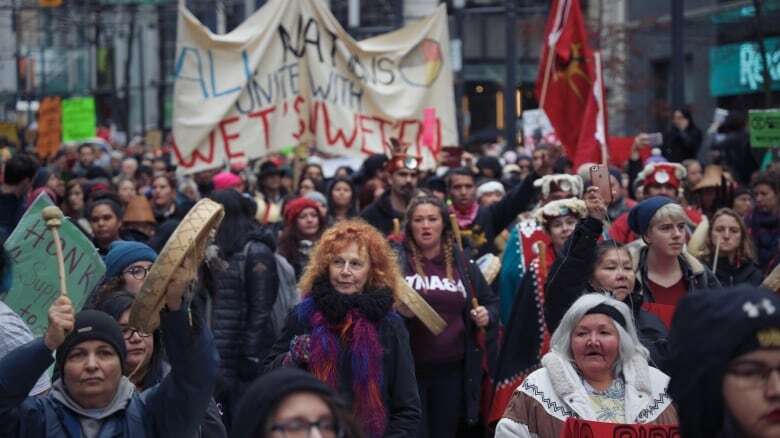 That triggered nationwide demonstrations, including the delay in Ottawa of a planned meeting between Prime Minister Justin Trudeau and First Nations with self-government agreements. Demonstrations flared from coast-to-coast, from Halifax to Vancouver to Yellowknife. Two rolling blockades on Ontario's Hwy 401 and 402 were launched on Friday and social media continued to buzz about other potential actions into the weekend. 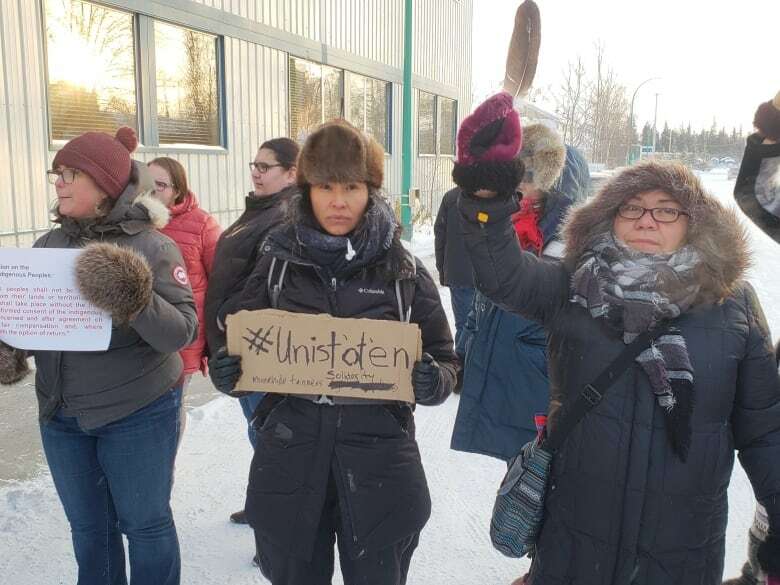 The Wet'suwet'en hereditary leadership struck a deal Thursday with the RCMP to allow Coastal GasLink employees onto their territory to conduct surveying and pre-construction work. The leadership said they still oppose the project. The risk assessment was drafted in anticipation of TransCanada seeking an injunction at the time against the Unist'ot'en camp. TransCanada obtained an interim injunction against the camp this past December. The assessment also notes that the 2014 Supreme Court decision affirming the Tsilhqot'in nation's Aboriginal title over their territory had helped to bolster the resolve of the Unist'ot'en and other First Nations to assert control over their claimed territories. "[The court decision] has strengthened the perceived First Nations control over resource development within their traditional territories," said the risk assessment. "The Unist'ot'en blockade camp is the ideological and physical focal point of Aboriginal resistance to resources extraction projects." 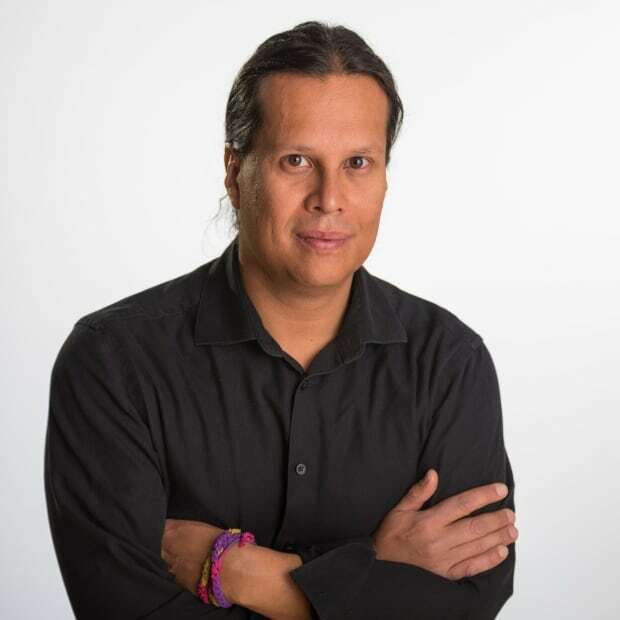 Pasternak, who is also a criminology professor and author, said the document reveals that Canadian law enforcement authorities believe Indigenous rights pose a risk to resource extraction. "Containing those rights has become a major imperative of the Canadian state and of the provinces," said Pasternak. "In order to do so, they need to de-legitimize the claims of Indigenous people." Public Safety Minister Ralph Goodale's office said the document predated the current Liberal government. The document recommended the federal government "continue to monitor and revised the risk assessment, as required." The document said the Unist'ot'en camp was led by an "Aboriginal extremist who rejects the authority of the Crown over his perception of what constitutes traditional territories." It's unclear to whom the document is referring. 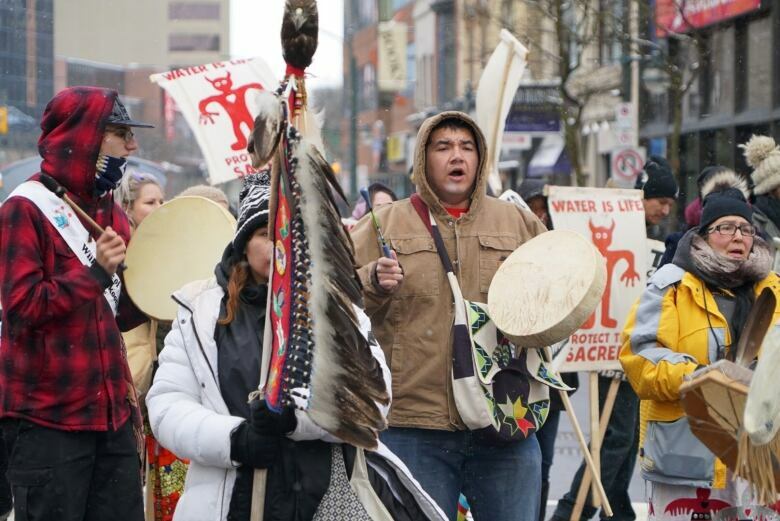 The opposition to the Coastal GasLink pipeline has been led by the Wet'suwet'en hereditary leadership. Aboriginal Peoples Television Network first reported on the existence of the document. The assessment also notes that First Nations band council leadership was supportive of the natural gas pipeline project. TransCanada has obtained the support of 20 First Nations in the area for the Coastal GasLink project. The Wet'suwet'en were involved in the landmark 1997 Supreme Court Delgamuukw decision that outlined a test for proving Aboriginal title. Pasternak said the use of injunctions in this situation allows for enforcement on specific grounds without needing to deal with broader title claims which are clearly in play with the Wet'suwet'en nation. "It's a blunt instrument that gives the company the right to signal the RCMP to go in and break down these gates," said Pasternak. "It's an instrument that enabled the courts to bracket this one issue ... from the whole issue of Aboriginal title." The risk assessment noted at the time that up to 13 pipelines could potentially cut through Wet'suwet'en territory. A previous version of this story said TransCanada Corp had changed its name to TC Energy. In fact, the name change will not take effect until after shareholders approve it at the company's next annual meeting.